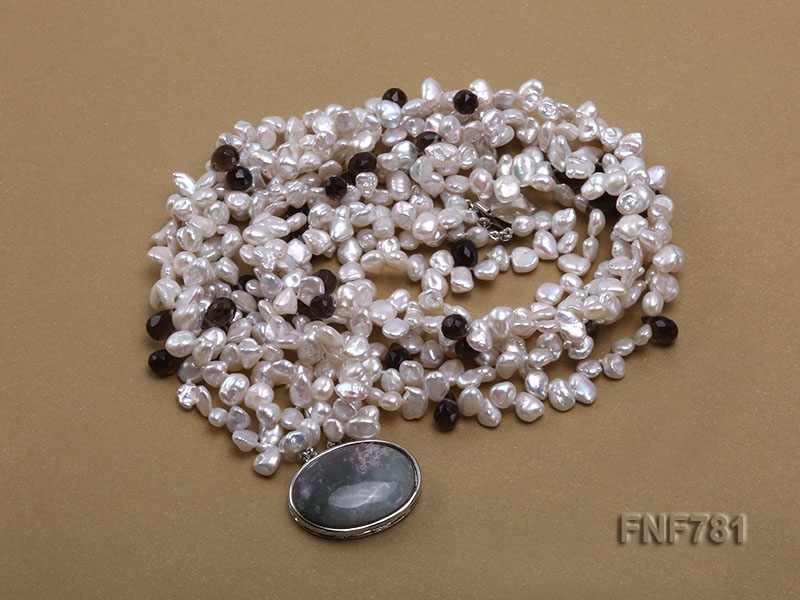 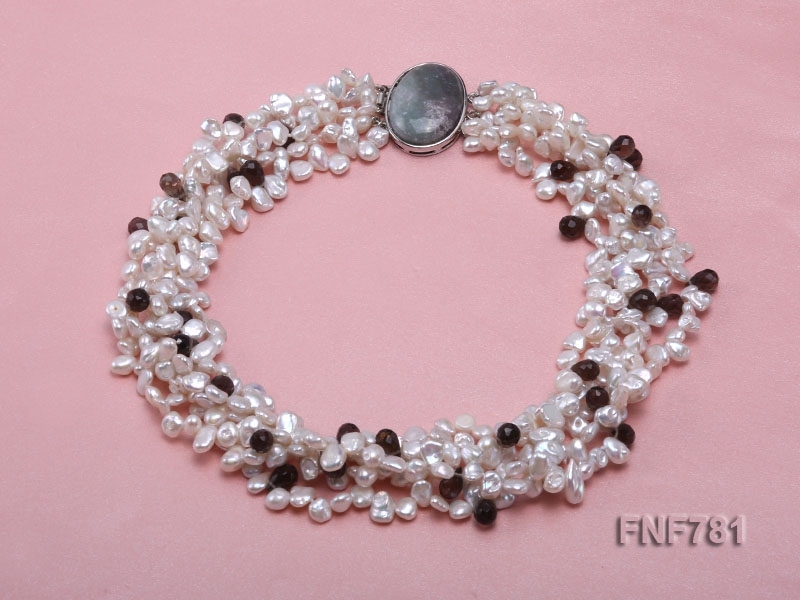 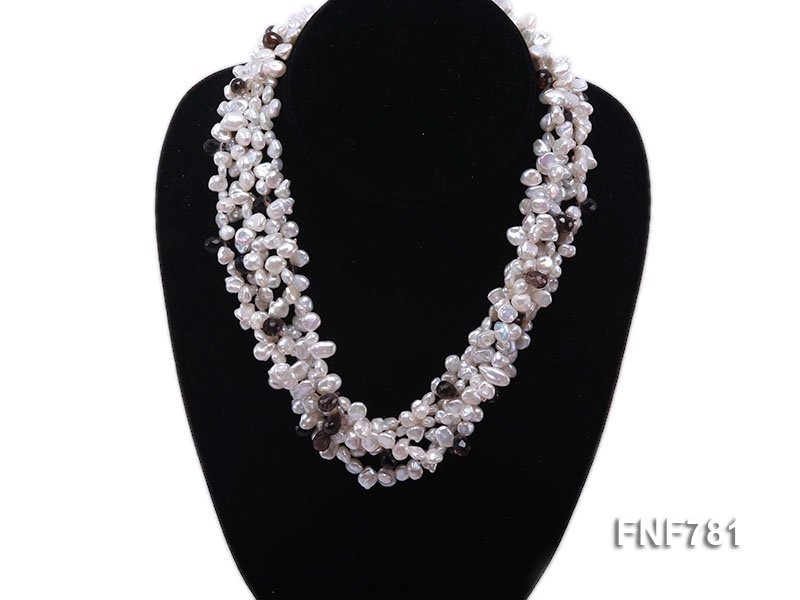 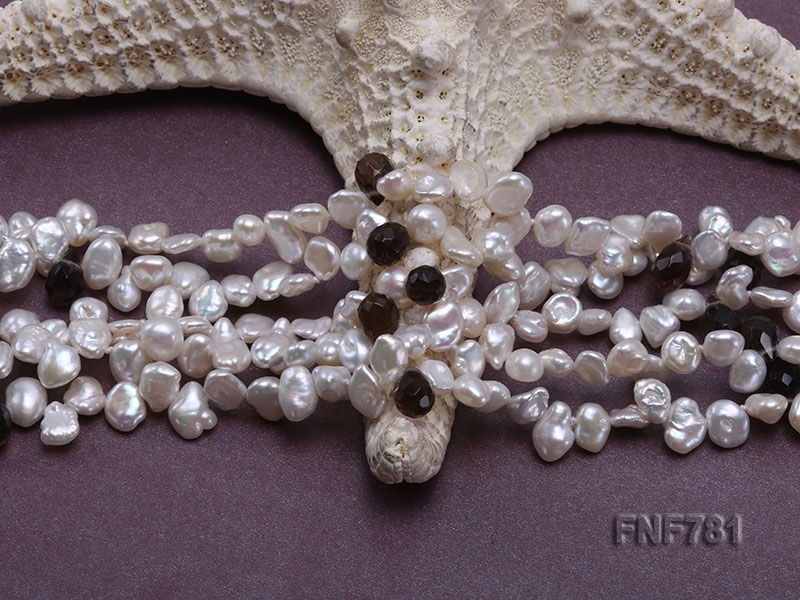 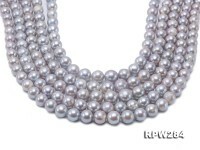 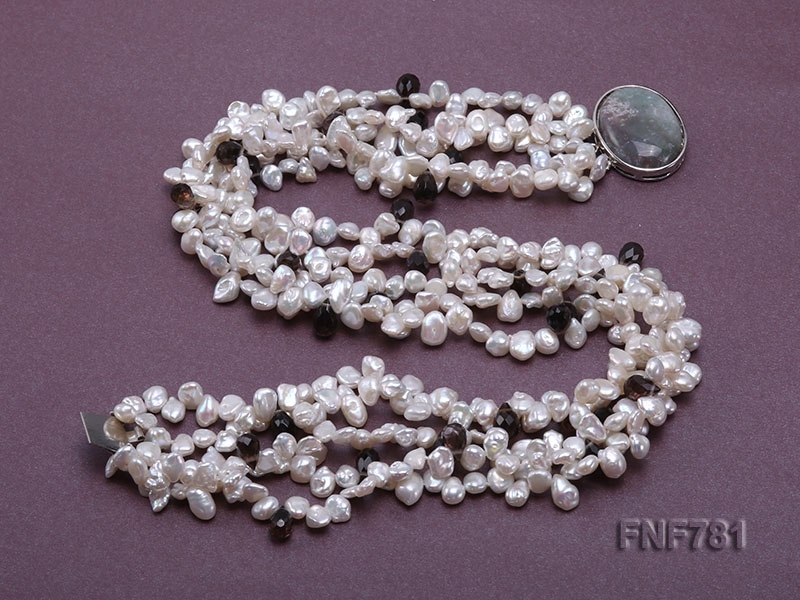 Beautiful five-strand necklace made of 4-6mm white irregular cultured freshwater pearls and drop-shaped faceted smoky quartz beads. 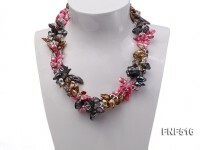 The necklace has a length of 18 inches and is close by a gilded three-row clasp with a gemstone inlaid. 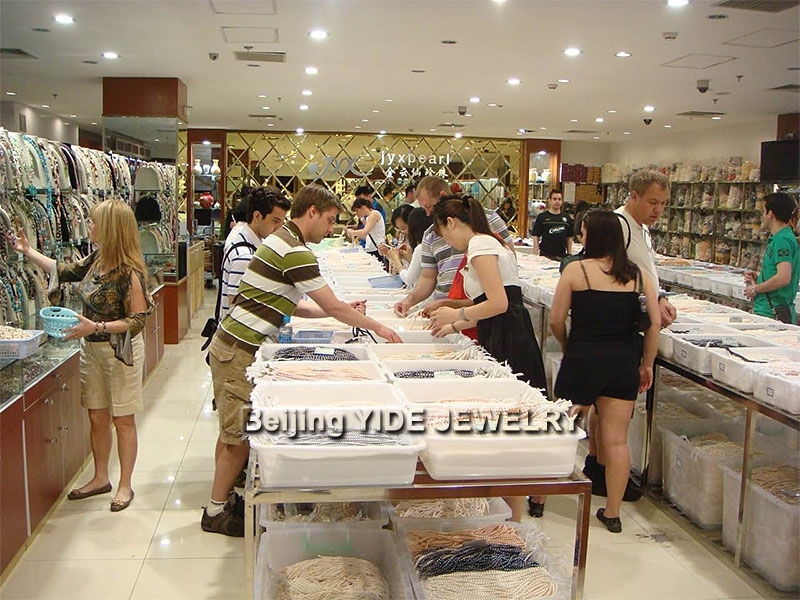 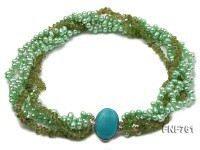 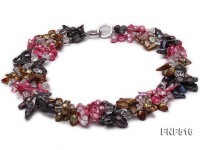 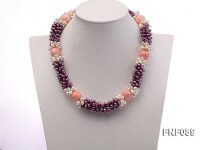 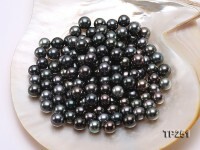 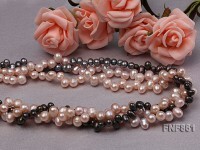 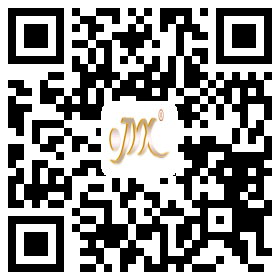 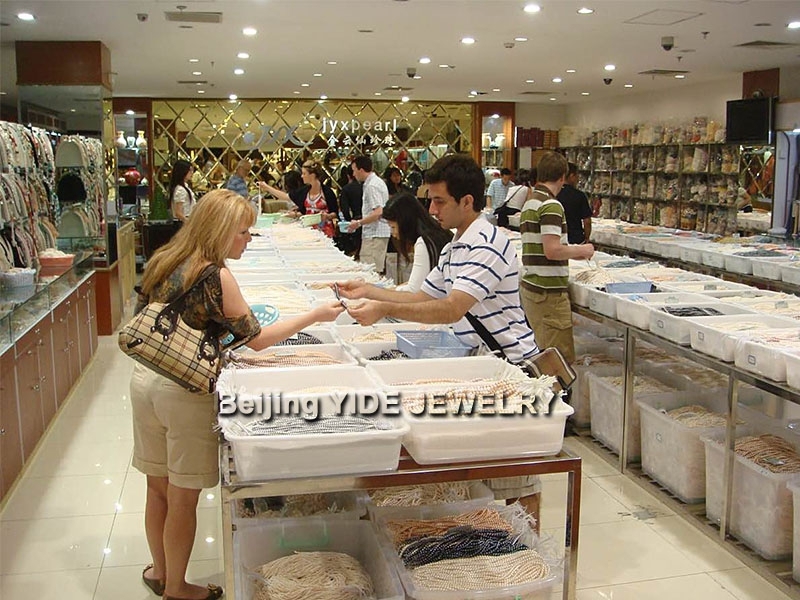 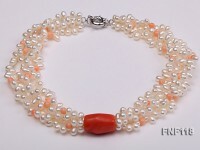 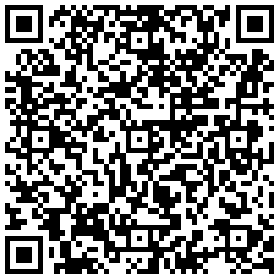 The necklace is newly designed and cost effective. 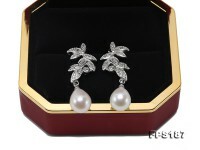 It is a nice daily wear for you.